One thing you’re going to love about Toronto is its food scene due to its diverse communities. A lot of people ask me for my favourite restaurants in Toronto so I’ve decided to make a post about it. To make the list more relevant, I only included restaurants that I actually visited in 2016. This makes sure I exclude some favourites that I haven’t been back to in more than year. Alo Restaurant – French tasting menu with a Michelin-level experience. Just crowned No. 1 in Canada’s 100 Best Restaurants in 2017. Check out my review of Alo. Doma – This new French-inspired Korean restaurant is a breath of fresh air in Asian Fusion. Check out my review of Doma. Gyubee – AYCE Japanese BBQ serving premium quality meat. Check out my review of Gyubee. Lai Wah Heen – This upscale Chinese restaurant serves some of the best dimsum in Toronto. It was No. 79 in Canada’s 100 Best Restaurants in 2016. Le Baratin – This new French restaurant serves some of the best French food at a very reasonable price. Check out my review of Le Baratin. Muncheez – Never was into savoury crepes until I went here. If you’re feeling adventurous, you can try oven-roasted crickets here. Olde Yorke Fish and Chips – Best for fish & chips and onion rings! Check out my review of Olde York Fish & Chips. Sansotei – My favourite for ramen. I always get the Tonkotsu Black. Terroni – My favourite for general Italian food. 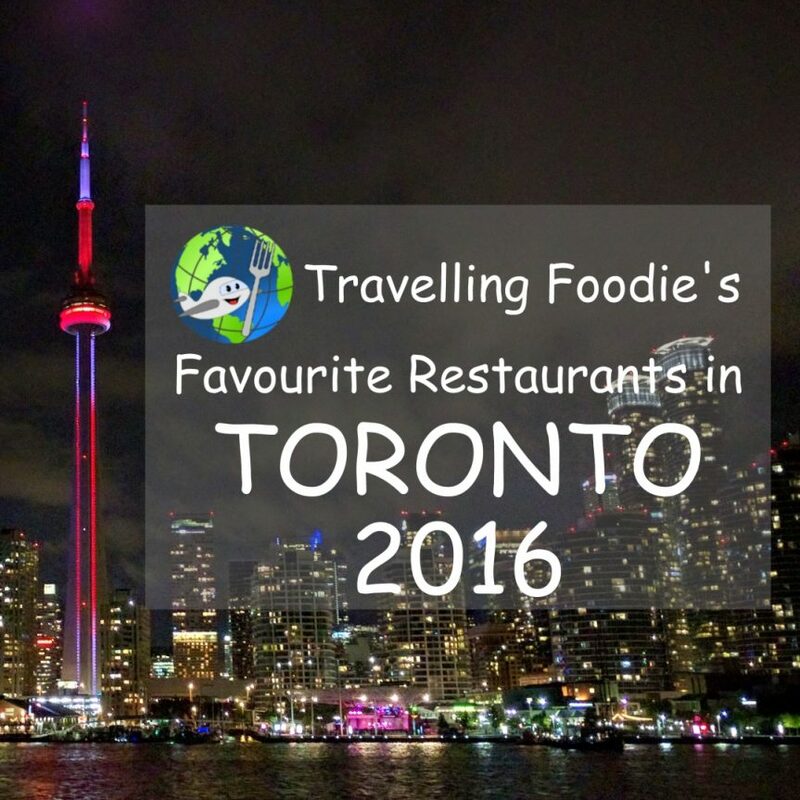 Which of my favourite Toronto restaurants have you visited? What are your favourite restaurants in Toronto that were not in this list? Let me know! Posted on March 6, 2017 by Travelling FoodiePosted in Canada, Food, Markham, Ontario, Scarborough, Thornhill, TorontoTagged food trip, guides, restaurants. Thank you so much, Karen! Ohh, I think you’re more likely to try the GTA ones haha! You went to so many places too! Definitely an eventful 2016 for us haha! Cheers to 2017 for more food and travel adventures to us!